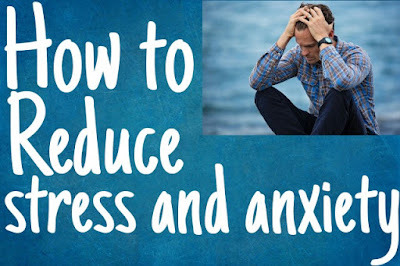 Now a days many people have too much stress and anxiety in there life they can not manage all the activity in proper way due to stress and anxiety. I this helps How to reduce stress and anxiety. when stress becomes long-term and is not properly addressed it can lead to a number of serious health conditions including depression, high blood pressure, abnormal heartbeat, hardening of the arteries, heart diseases, heart attack, heartburn, ulcers, irritable bowel syndrome and other great symptoms like upset stomach, cramps, constipation and diarrhea, weight gain or weight loss, fertility problems, flare ups of asthma and arthritis, skin problems like acne, Eczema, Psoriasis. 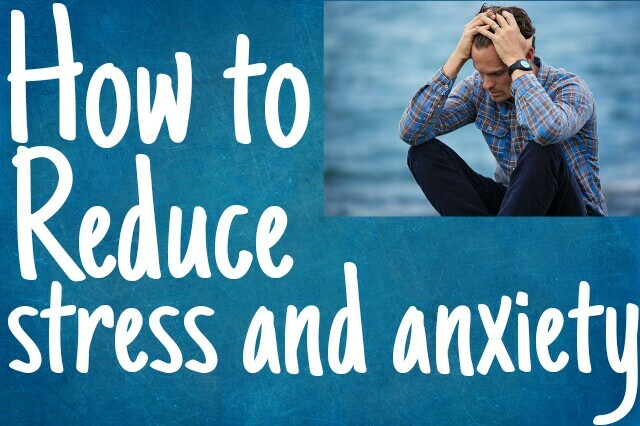 Here are five natural ways to deal with stress. Diet after a stressful period the human body can go into a recovery mode where increased appetite and food cravings become more prevalent, at the same time metabolic rates drops toucans Low Energy being aware of these patterns can help you manage your stress levels and through nutrition and diet you can help your body recover from the stressful periods more rapidly and minimize the negative effects such as weight gain, some of the best foods for natural stress relief are foods high in vitamin B because vitamin B converts the nutrients to energy like culture dairy products, cage-free eggs, grass-fed beef, poultry, green leafy vegetables are all rich in vitamin B. Incorporate foods high in calcium and magnesium because these are called relaxing minerals calcium and magnesium are important for relaxing muscles relieving headaches and helping you to sleep better, try unsweetened yogurt wildcats almond, beans, legume, leafy green vegetables, cruciferous vegetables like broccoli and Cabbage, avocados and nuts. Don't forget to Incorporate protein foods because these provide amino acids that are needed for proper neurotransmitter functions include healthy fats and omega-3 fatty acids. health, other healthy fats that support brain health includes nuts, seeds, avocado, olive oil and coconut oil. On the other hand food to avoid to keep stress levels down include packaged or sugary foods, processed refined foods are those with added sugar they can give your blood sugar high - lows throughout the day, not only that but they increase the anxiety and cause cravings and fatigue. avoid too much alcohol or caffeine both alcohol and caffeine can worsen the anxiety make you dehydrated and interfere with sleep leaving you tired and making you unable to cope up with the stress level, refine vegetable oils imbalance in the polyunsaturated fatty acids meaning it is more in omega-6 than Omega threes and are tied to metabolic damage inflammation and even poor gut health which can affect mental processes. Set aside some time each day to unplug from all the ways you're connected with others turn off your cell phones, turn off your internet, turn off your TV by making time for your centering disease stressful days you can refocus your energy and give your brain a break if you're looking for ways to enjoy a little alone time start small this will help you and your family get into your routine you can start with a simple activity that takes between 30 minutes and one hour such as walking the dogs, going your class, working on a project, meditation, reading a book or trying out a new recipe. Physical activity helps the production of your brain feel-good neurotransmitters any form of exercise or movement can increase your fitness level while decreasing your stress, the most important thing is to pick an activity that you enjoy for example, walking, stair climbing, jogging, bicycling, yoga, weightlifting and swimming. Even brief bouts of activity offer benefits for instance if you can do a 30-minute walk try 3-10 minute walk 10 steps interval training which includes brief 60 to 90 second bursts of intense activity at almost full effort is being shown to be an safe effective and efficient way of gaining many of the benefits of long duration exercise, what's most important is making regular physical activity part of your lifestyle. People who suffer from chronic stress please let's have poor quality sleep and find it harder to function well during the day, the brain chemicals connected with deep sleep are the same ones that tell the body to stop the production of stress hormones as a result when you don't treat well your body keeps pumping out those stress hormones. First set your bed and your wake-up time according to the number of hours you are sleeping correctly for example if you're sleeping only 5 hours at night set your sleep time for that amount then gradually increase the amount of time allotted for sleep by 15 minutes or so every few nights, ideally you need to sleep seven to eight hours every night avoid coffee, chocolate, caffeinated soda or nicotine in the evening establish a regular relaxing bedtime routine make sure your bedroom is cool dark and quiet use your bedroom for sleeping and relaxing only waking activities such as working on the computer, talking on the phone and watching TV should take place out of the bedroom. relaxation both of which reduce to reduce the physical symptoms of stress. I hope this will help you to reduce stress level and you enjoy your life.